In a bizarre way, New Hampshire residents with DWI convictions and most criminal offenses can consider themselves lucky. While many states prohibit the expungement of drunk driving offense and other criminal convictions, New Hampshire residents can in fact get their DWI convictions removed from their records through an annulment. It is difficult to shake the stigma of a DWI. For first-time offenders who must carry this single mistake with them for the rest of their life, through job interviews and other professional or academic endeavors, it can be especially devastating. As said, New Hampshire residents are lucky in that they may not have to live with these and other ramifications of a DWI conviction their whole life. 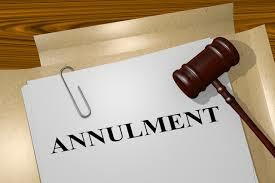 The very concept of annulment operates in the notion of second chances, allowing citizens to effectively erase the smudge from their record after dealing with the consequences for a set time period. In New Hampshire, DWIs are “expunged” by annulling the conviction. After an annulment, the law must treat the person as though he or she were never convicted of the crime, except under specific, extenuating circumstances. Since 2013, New Hampshire has changed the way annulments are processed. An annulment does not mean the conviction will be removed entirely, rather it will remain on record with a clear entry stating that the conviction has been annulled. For some, having the criminal conviction remain on record defeats the purpose of an annulment, but an entry stating the charge is null and void will more than likely make a world of difference to those who live with these convictions. There is a long waiting period before you can seek out an annulment for your DWI conviction. DWI joins a short list of other offenses that can be expunged from a criminal record, however the waiting period to expunge a DWI is considerably longer than many of the offenses that join it on this list. The waiting period to annul a DWI conviction is a hefty ten years. From a professional, educational and financial perspective, an annulled DWI is immensely preferable to a standing DWI. Whether you are seeking employment, applying for a loan or trying to rent an apartment, you will find that a standing DWI can hugely hinder your efforts; this is why it is worth it to hire an attorney to petition for annulment once you become eligible. After the ten year mark, you may begin the process of annulment by hiring an experienced New Hampshire DWI attorney to file an annulment petition. You do not need to concern yourself with the minutia of how an annulment is obtained after you hire a DWI attorney to do the legwork. Just like a DWI conviction. many other criminal charges can be annulled. Some waiting periods are very short while other can be much longer. Initiate the process by speaking with a NH criminal defense Attorney who understands the annulment process in NH. If you are nearing ten years with a DWI conviction on your record or have other criminal convictions you wish to remove from your record in New Hampshire, do not hesitate to contact the attorneys at Tenn And Tenn, P.A. to take on your case.